The Concord/Bluegrass subarea of Knoxville is located to the south-west of downtown Knoxville. Considered West Knoxville proper, it borders the town of Farragut to the west, the Cedar Bluff area is just to the north, Westmoreland and Bearden border Concord/Bluegrass to the east and Alcoa is directly to the south. Concord/Bluegrass is also home to Gettysvue Country Club, a private and exclusive golf community. Concord/Bluegrass attracts working professionals with families due to the schools in this subarea having the highest ratings in Knox county. This area has a suburban feel comprising mainly of newer subdivisions of 2-story single family homes. The area is surrounded by waterways, parks and greenways. Well-known Turkey Creek shopping complex is only a 5 minute drive and it's proximity to Kingston Pike allows for easy access to all the shopping conveniences. Concord is actually an unincorporated village of Knoxville that is listed on the National Register of Historic Places. Concord, TN has a downtown that runs along what is now Concord Road and Northshore Dr., sitting along Fort Loudon Lake. Data demographics provided by On Board, LLC. 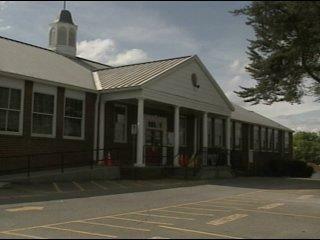 The Knox County School district serves Concord/Bluegrass and all of Knox County. The schools that specifically serve Concord/Bluegrass are Bluegrass Elementary, AL Lotts Elementary, West Valley Middle, and Bearden High. There are also several private schools: La Petite Academy, Kinder Care Learning Center, National College of Business, Oakmont School, Giving Tree Montessori and Knoxville Catholic High School. One of best features of the Concord-Bluegrass area is all of the wonderful parks and waterways it has to offer. 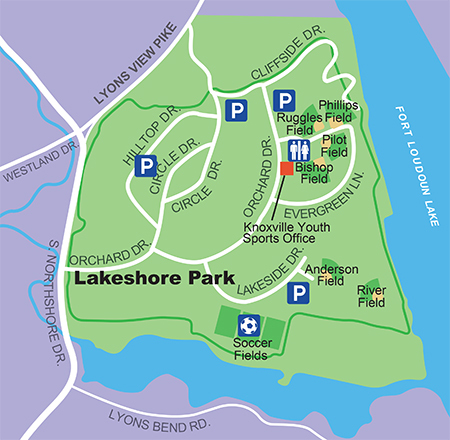 Lakeshore Park is located at the corner of Westland and S. Northshore. A popular place to run and walk, Lakeshore Park provides spectacular vistas of Fort Loudoun Lake and the Smoky Mountains. 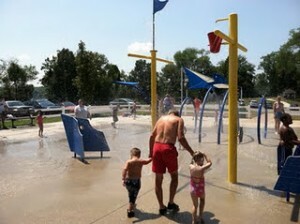 Carl Cowan Park is located at 10058 S. Northshore Dr. This 32-acre park is a relaxing place to spend the day, with splash-pads, ball fields, a playground, and lots of walking trails. Bring your lunch and enjoy one of several picnic areas before seeing a boat launch. 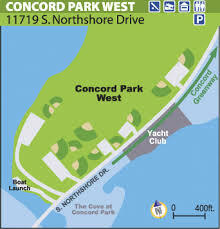 Concord Park is located at 10901 S. Northshore Dr. This park surrounds an idyllic boat marina and has picnic areas and plenty of space for a leisurely walk or your favorite athletic pursuit. Tennis courts, roller hockey, a playground for the kids, an outdoor swimming pool, and trails for running or in-line skating let you enjoy 450 acres of Tennessee's great outdoors.